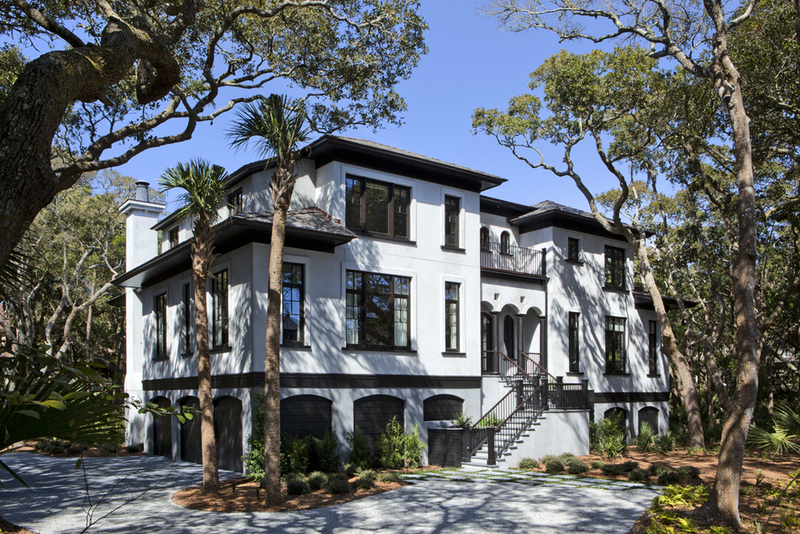 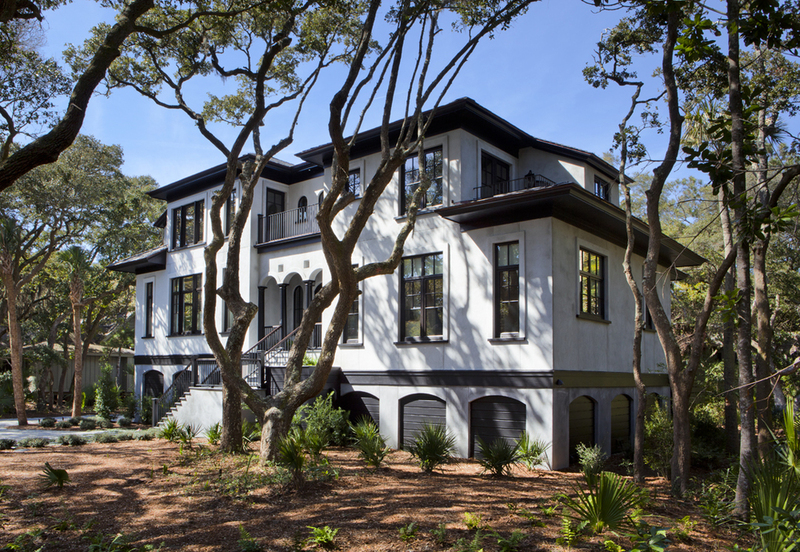 A Mediterranean style home carefully situated amongst the live oaks of Kiawah Island. 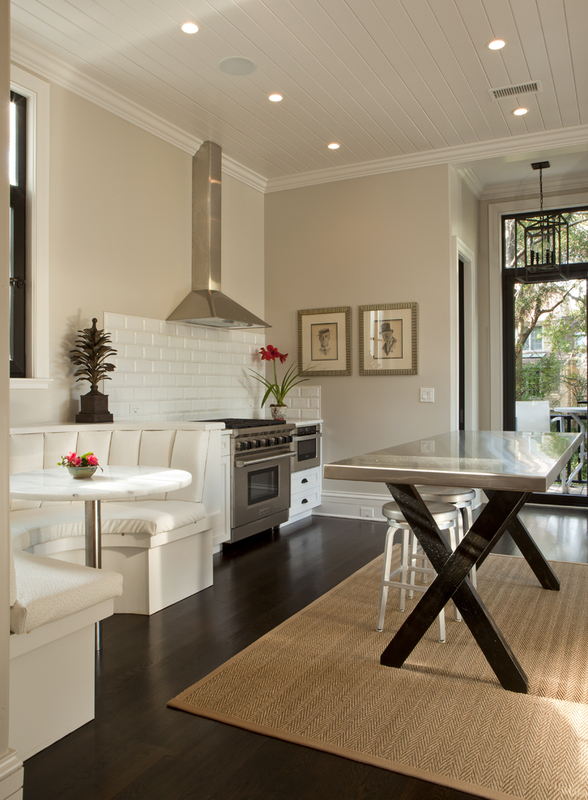 The two principal masses have different finished floor levels allowing for a variety of views and perspectives throughout the home. 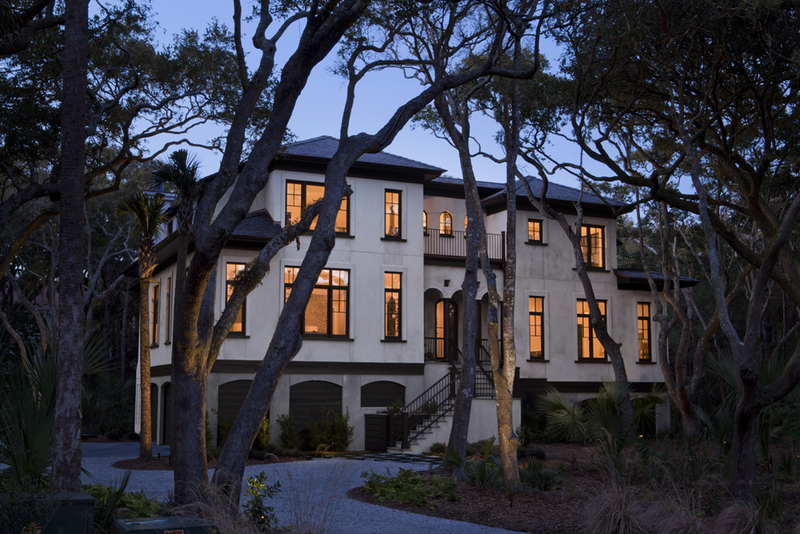 The highest floor offers glimpses of the Atlantic Ocean across the street.